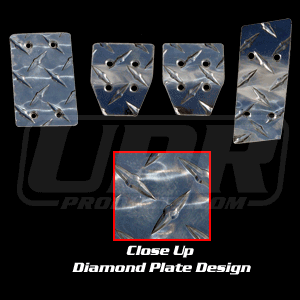 Tired of looking at your worn out factory pedals and having your foot slip off then at the wrong time then check out UPR's Manual Diamond Plate Pedal Cover Kit. Designed as a direct replacement they go right over the top of your existing pedals. Four piece pedal kit designed for real world abuse not just looks.